Sadly our friend and fellow club member Gillian died in January. She was a regular at the club and came to most meetings even though she was in poor health quite often. 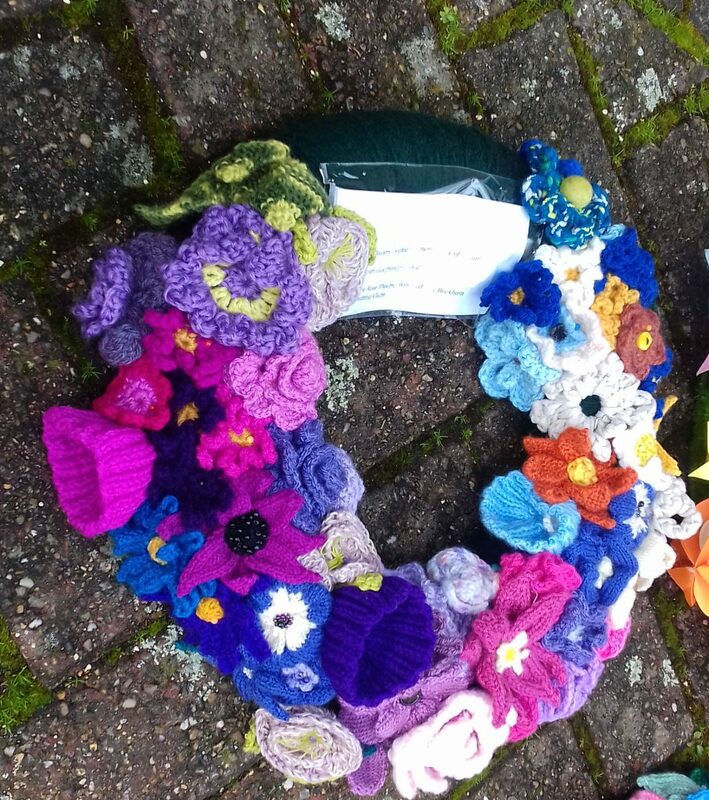 Gillian loved crafting and was very skilled, painting, making jewellery, knitting and sewing. She regularly ran a craft stall for a hospital charity which she supported with many things made by her and her friends. 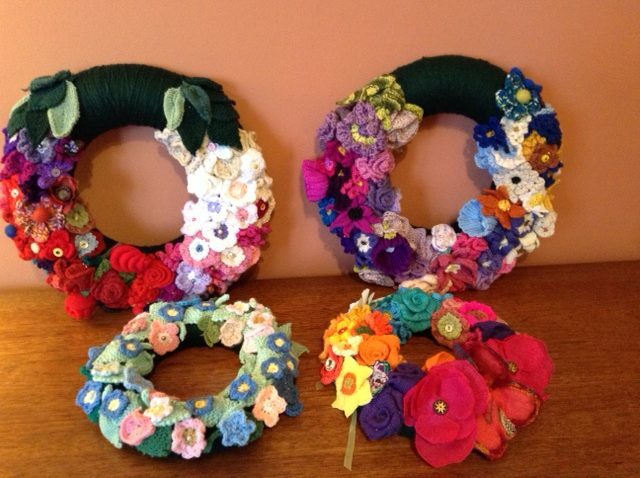 Gillian belonged to a number of knitting clubs and groups and we were all asked to create knitted or crocheted flowers by her daughters and these were used to make wreaths for the coffin at her funeral. Once assembled these were a beautiful tribute to her. Photos with permission of Gillian’s family and club members. A small group of club members attended the funeral which was a celebration of her life. We all send our condolences to members of her family and her many friends. It was with great sadness that all members heard of the passing of Gillian. She had been a member of Bookham Machine Club for about 10 years. She rarely missed a meeting and was an active member of the club. Initially, she had a Knitmaster Electronic Machine, but when that failed she returned to a punchcard Machine. She knitted many garments on both these machines, she loved autumn colour mostly but occasionally wouldn’t knit in brilliant colours too.Lately, she had returned to her first love of hand knitting, she loved to create small animals of every kind. She was a prolific watercolour artist and when on vacation she would also have drawing material with her and also her camera. She had a wide knowledge of art and when looking at a painting more often than not she could name the artist. She was married to John Quenzer who was a fine artist and a potter.